Heavy duty deck rubrail surrounding the entire boat. Master power switch, lighted dash, brkrs. LED Docking and running lights. 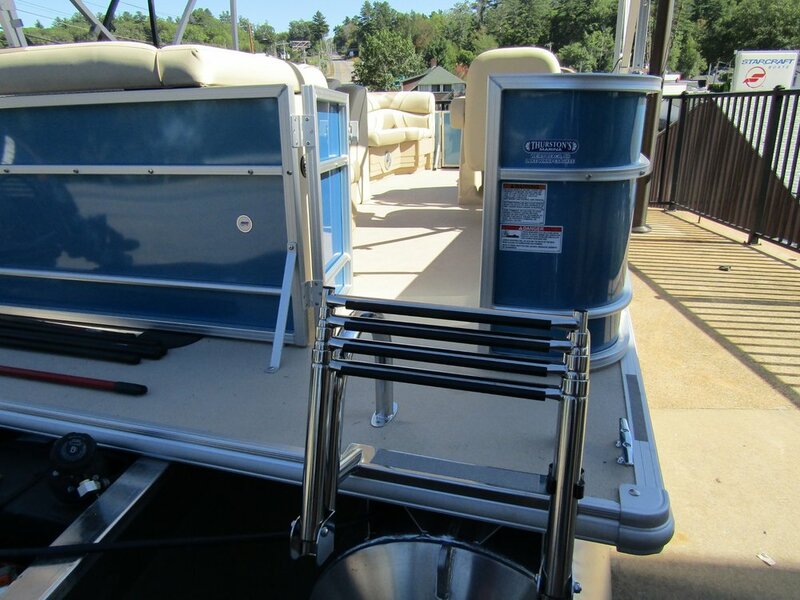 8ft.Bimini Top with protective boot. Removable table . Giazza Black steering wheel. Fire ext, Full gas, 4 docklines. Extreme steering upgrade. Dash-mounted trim gauge. BRP pre-rigging for an engine. Full premium vinyl flooring in Taupe throughout the boat. 10ft. Bimini top upgrade with protective boot.